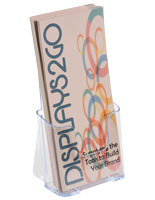 This hanging business publication rack isn't just any plastic pamphlet display. 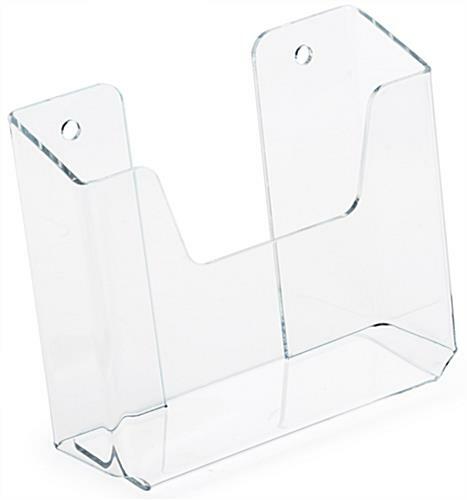 Constructed of sturdy acrylic, this see-through wall fixture is among our large line of quality literature holders that are both functional and great looking. 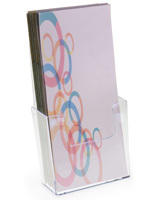 This hanging business publication rack, such as a catalog display, is as sturdy as it is accessible. 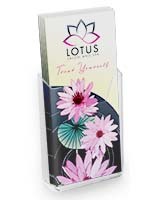 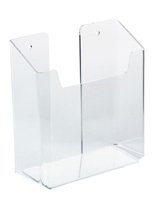 This publications holder will help you sell your services or goods, or impart information to clients in a reception area. 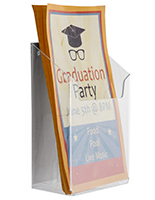 This hanging business publication rack can be placed in crowded locations to dispense narrow pamphlets, saving floor and counter space. 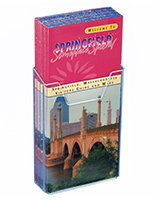 Anchors and screws are not included in shipment (though can be purchased at any local hardware store.) 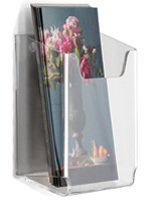 Pre-drilled holes have been made in each of these units to make installation easy! 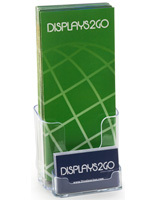 Sticky pads are included in shipment for another option.